Mark Stoner is an adventurer. Stoner has spent the last fifteen years since his college days trying his hand at different careers. Though he has been in numerous businesses, nothing held his attention for long until he came upon import and salvage. In addition to running a salvage operation out of Key West, specializing in Spanish wrecks, he has made himself quite wealthy buying artifacts around the world and selling them to museums and collectors. A tall, muscular man with skin bronzed from months on a boat in the Caribbean, Stoner is in his late 30's but able to more than hold his own against most men a decade younger. He is an excellent skipper and a master diver in addition to being an acknowledge expert in antiquities, especially those which might be found in a ship hundreds of feet below the ocean surface. Though he knows that he could retire and live comfortably for the rest of his life on what he has already earned, such inactivity would be intolerable to a man who craves adventure like Stoner does. And even more than adventure, Stoner needs a challenge to keep his mind fresh and to provide a drive. Though his actions sometimes skirt the edges of the law a bit closely, his own moral code has kept him straight and able to sleep well at night. 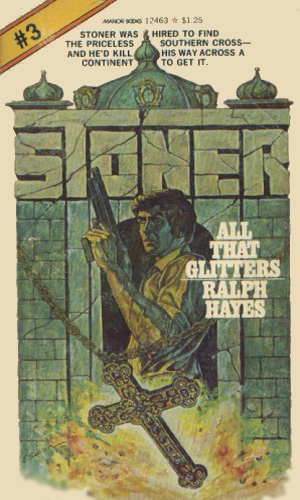 Not a spy by any means, Stoner still belongs in this collection, IMHO, because his adventures take him around the world and pits him against powerful forces sometimes bent on rebellious intents. He must deal with governments around the world and those out to overthrow them. He never wants to get entangled in their business but money and politics are always partners. The artifact found by Peruvian Indians was first thought Incan but closer study reveals an alien quality to it. Mark Stoner is hired to get it from the murderor who stole it despite the reputation it has of "touch it and die". Two things drive Mark Stoner to South Africa to break into the maximum security diamond facility: a desire to steal the Satan Stone, a huge priceless diamond, and a chance to kill the man running the operation. Someone has stolen from a museum in Istanbul the incredible Souther Cross, a gold pendant adorned with rubies. Mark Stoner is hired to retrieve it but between the man who has it and others who want it, getting it back is going to be tough. 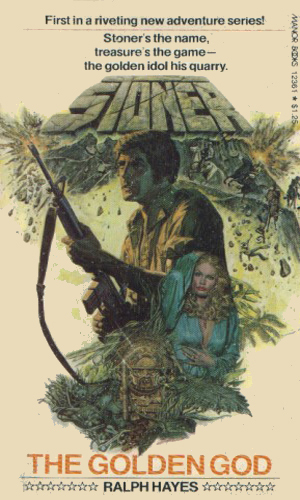 Mark Stoner is asked to help get the release of a kidnapped industrialist from rebels in South America. The leader of the band, though, has other plans for both the victim and Stoner. Just pure adventure. No subtlety, no attempt to be anything other than what it is. 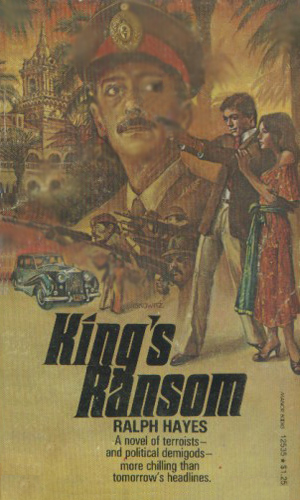 Mr. Hayes never fails to entertain when I am in the mood for action, beautiful women, exotic locations, and excitement. I don't expect more and I don't get it. But what I do get is fun. 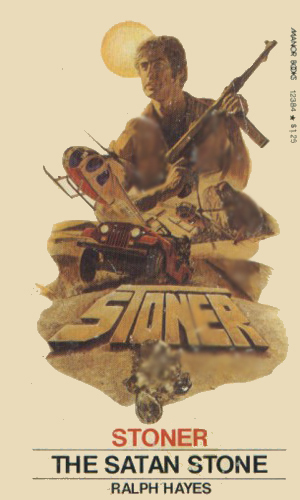 Stoner is a great character – a man who does not need to do what he does but cannot help himself. He will not look for trouble but he could no more step away from it than stop breathing, although he comes close to the latter often enough. I''ve only read the first book in the series. Came with a batch of books I received from an eBay buy. I was pleasantly surprised. Randall is pretty much on the mark with his comments. I found it reminded me a lot of the Uncharted Videogame Series by Naughty Dog. I''m hoping to find more.